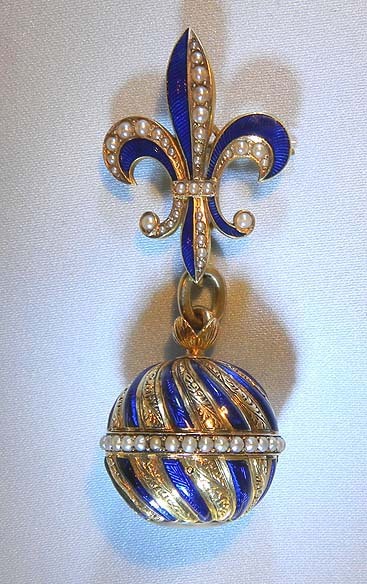 Fine Swiss 18K gold, enamel and pearl bezel-winding ball watch with matching pin circa 1900. 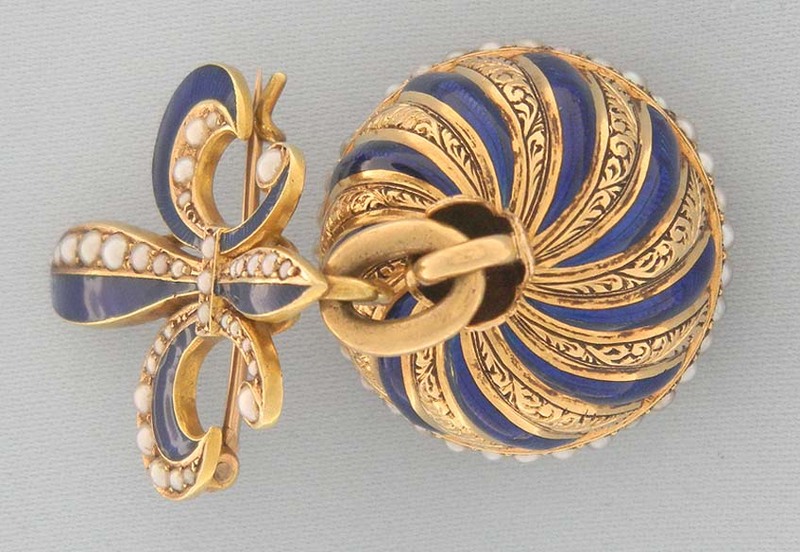 The case in a swirl design of rows of enamel over engine turning (slight repairs) alternating with swirls of engraved gold. 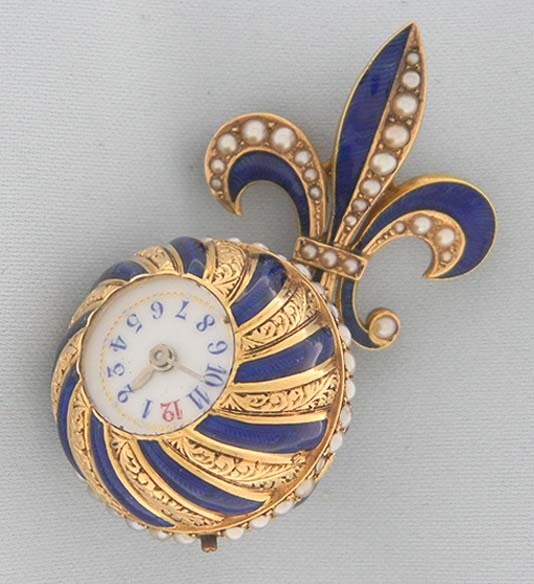 White enamel dial (hairlines). 10 jewel cylinder movement.